Richard Steve Lapishka, 77, died peacefully on Sunday, January 13, 2019, surrounded by his loving family, after a courageous bout with esophageal cancer. He was born on June 23, 1941, in Aliquippa, PA, the son of the late Steve and Ann (Rudich) Lapishka. The family moved to Rochester, PA, when he was five. He attended and graduated from Rochester High School in 1959. He worked at Valvoline Oil Company in Freedom, while attending Geneva College. He graduated Geneva in 1971 with a Bachelor’s degree in elementary education after 10 years of night school. He began his teaching career as a fourth-grade teacher with the Blackhawk School District. He earned his Master’s Degree from Duquesne University in 1976 and continued to teach in the Blackhawk School District, until retiring in 2001. His greatest love was his family, supporting them and providing strength and guidance. He was an avid automobile enthusiast and audiophile. 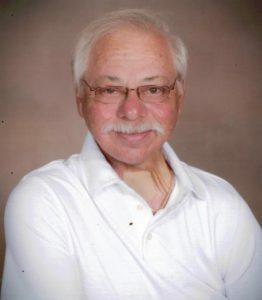 He also enjoyed many activities throughout his life such as motorcycling, playing tennis, water skiing, golfing, playing poker with his buddies and taking his family on weekend trips and vacations in his RV. He was also everybody’s handyman. He was a member of the Knights of Columbus. The Holy Name Society of St. Felix Church, a member and past president of the Blackhawk Education Association. With his wife they raised and handled Scottish Terriers in the show ring and finished many champions. He was past president of the Scottish Terrier Club of Northern Ohio and was also a member of the Scottish Terrier Club of America. He is survived by his wife of 57 years, Victoria (Mahli) Lapishka; a son and daughter-in-law, Richard Alan and Bobbi Jo Lapishka, a daughter and son-in-law, Christine and Richard Zarone; two grandchildren, Delaney Marie Zarone and Nicholas Richard Lapishka. He is also survived by his sister in law, Dorothy Meder, and numerous nieces and nephews. Family and friends will be received on Wednesday, January 16th from 2-4 and 6-8 PM in the Huntsman Funeral Home and Cremation Services, Inc. of Rochester (502 Adams St). A mass of Christian Burial will be celebrated at St. Felix Catholic Church, on Thursday at 10 AM. Entombment will follow at Sylvania Hills Memorial Park.